My Third Muse on Ideas | Thoughts of a Calabarboy. 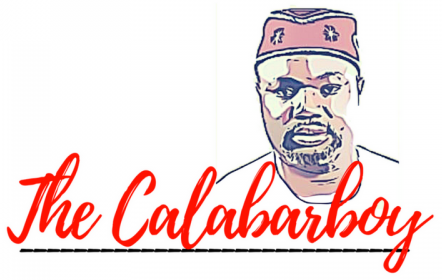 My Third Muse on Ideas – Thoughts of a Calabarboy. Today I was the United Nations Building in New York for a conference, and I was talking with a few people about some projects I ran when I was doing my mandatory Youth Service in Zamfara State of Nigeria. It was not known by most of my friends what I was doing because I didn’t want the information to leak out easily. Coupled with the fact that it was difficult carrying it out, there was also the issue of poor telecommunications facilities in that village. We only had one GSM service operator and they provided signals something like three days a month. My idea there was to create a reporting system through which I could inform the central Financial Crimes Unit in the State of things happening in the local government that needed to be addressed. The basis for my effort was that I believed more corruption was taking place at the lower levels in society, such as the local authorities, and municipal governments. If I could then inform the central authorities on financial crimes of the happenings where I was, it will help the proper recording of the trends of financial crimes at the local unit, and from there decisions on appropriate actions could be made. The idea was to place calls periodically to an official at the State capital and give a feed back on things I had noticed within a month. But this was unpractical considering the poor telephone services. I could only accomplish this when I visited the capital on rare occasions. With these constraints, I still managed to do some reporting for documentation purposes, and left that place not knowing of what use the information was. When I raised the issue today while talking with young people from all over the world, I was amazed at the perspective which these youths presented to me on how I could have effectively managed the idea I had, even with the attendant limitations I faced. It became clear that I was not the first to have thought of such an idea, and that as far as rural India, young people were utilizing the power of technology to hold their leaders accountable. I was utterly amazed at how much resources I pulled out from just sharing my idea on that discussion table and how much depth of information my mind was suddenly provided with which I can redo the project with utmost efficiency. This was a very good day for me and a new chapter to an idea which has been playing in my heart. It was as though this inspiration was suffocating all the while, and it simply just walked into fresh air and now it’s breathing healthily again. Now this is what coming into the right environment does to your inspired thoughts. It gives it fresh perspective that empowers you for action. Many things lie dormant in your heart because they haven’t been provoked into reality by the right environment. This is why I warn myself of what I watch, hear, or associate myself with. These days I enjoy watching technological programs on TV, because each time I do, I find new inspiration on what’s possible rather than thinking of the impossibilities in life. Also in my communication with people, I have resorted to asking more questions than talking more often. Because in listening more, you hear more and in hearing more, your discover more. Have you noticed there are some people that when you are around them, you get inspired about things in your life? Those are the people you want to keep around you all the time, because they nurture your pregnancy to delivery. Every time my environment is not conducive I feel like my pregnancy is stalled and I am carrying something dead on my inside that is dying for a lease of life. Just wanted to share this with you since I have been dealing with the issue of ideas and why you MUST bring your forth and get registered as one that is really living and not existing. So please check up at what stage your idea pregnancy is at, and do those things that will bring you into full term rather than have a still birth. Let’s not also forget that in striving to bringing out our ideas, we should not give room for a second tot of doubt. After all it’s better to do it than not to do it at all even if it’s not going to succeed the first time. A sassy point made there. Thanks a lot Sassy. And that’s a Sassy site you’ve got there. Been there before. Amazing power erupts from rubbing minds with like minded individuals. I’ve come to realise that mediocrity stinks Refreshing! Amazing power erupts from rubbing minds with like minded individuals. I’ve come to realise that mediocrity stinks. This is Refreshing!